A model that reflects a unique and distinct human experience, combining different components that add to each other. 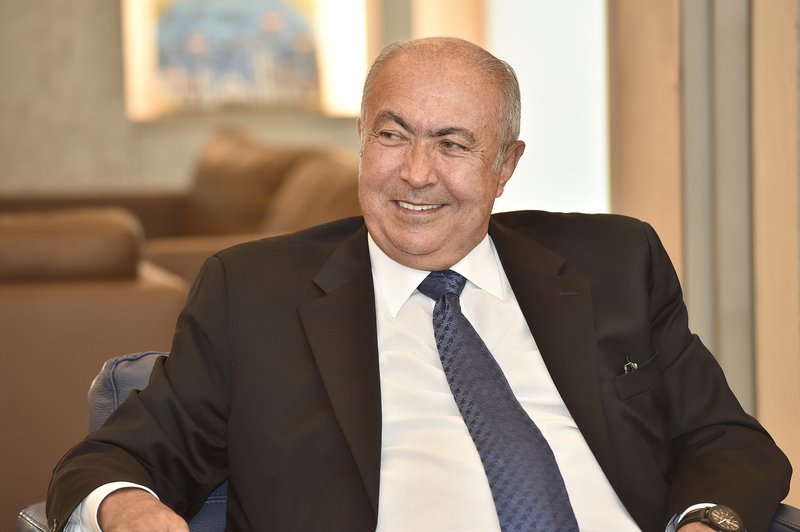 MP Fouad Makhzoumi is a prominent businessman and political figure in Lebanese and Middle Eastern circles. 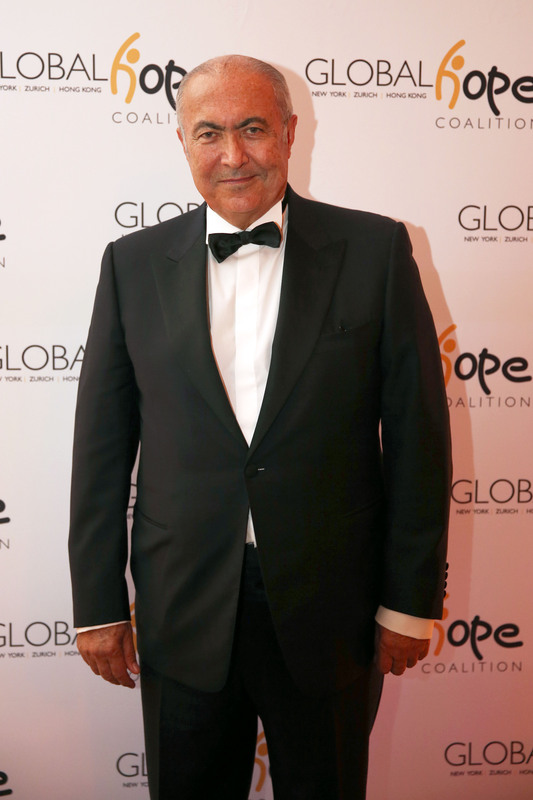 He has a long history of charitable and volunteer work, known for his love for Beirut and Lebanon. Arabisk London had the honour of meeting him. 1- You built a business empire and you are a political figure. What is your story? I was born to a middle class family in Beirut. My late father was a public servant, who strived to cope with the needs of a seven-member family, including my grandparents. After graduation in 1975, the war was raging in Lebanon, so I had to leave. Just like many other Lebanese, I moved to Saudi Arabia, searching for a future in the Arabian Gulf. Thanks to a sense of adventure and entrepreneurship, I excelled, but not without having to overcome immense hurdles. I counted on the love, support and understanding of my beloved wife and children. 2- Future Pipe Industries can be found in 50 countries worldwide. What are the factors that assisted in the success of FPI? The success of Future Pipe Industries lies in the simplicity of “creating connections”. As the world population keeps increasing, so does the basic need for energy and water. New energy markets are emerging every day, and existing ones redefine themselves constantly through geopolitical change. 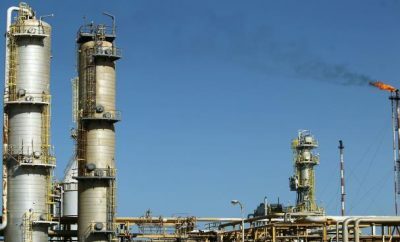 As countries turn from enemies to friends, or vice versa, the energy connections between these countries are redefined and need to be constructed or rerouted. At Future Pipe Group, we are here to connect these new friends. Today FPI’s operations span four continents with a presence throughout the Middle East, Africa, Europe, North America and Asia. The company employs an extensive global network of 3,300 staff. We have operating factories in: UAE, Oman, Qatar, Egypt, KSA, USA, The Netherlands, Spain, India, Morocco, and Indonesia. Additionally, FPI has 20 offices in UK, France, Singapore, Pakistan and Korea. Eventually, Future Pipe Industries Group became the cornerstone of a wider group of companies, namely, Future Group, with diversified activities in a number of non-industrial business sectors. 3- Why did you invest in Beirut, despite the domestic crisis and the opportunities available to you overseas? I am one of many Lebanese entrepreneurs, who have, harnessed their resources in Lebanon to serve their fellow citizens out of love for their country. In 1992, I made significant achievements in my career. Therefore, I decided to get involved in my country, both on the philanthropic and business fronts. During that year I set up Future Security Company, which provides human and electronic protection services. Today Future Security Company avails just under 1000 jobs all over Lebanon, exclusively reserved for Lebanese citizens. One year later, Future Pipe Industries was setup in Akkar, a highly deprived area of Lebanon, to manufacture state of the art composite pipes, used in all types of applications. Unfortunately, for political reasons, the FPI site was not awarded sufficient contracts in the Country. After keeping the site operating at my own expense, for a great number of years, I had to close it down. I also established Makhzoumi Foundation, National Dialogue Party, Forum of National Dialogue, Beirutiyat and became a member of the parliament, all for 1 purpose: CHANGE. I believe in Lebanon and its youth and I want to see my grandchildren growing up in Beirut, the city of my parents and grandparents, the city I love the most. 4- Why did you enter the Lebanese political scene? The time for change has come. It is important to lay a foundation for our youth to have a secure country that insures a bright future for them. This transformation will encourage investments, and change how Lebanon is viewed by other nations. I believe that we have to get rid of the confessional system in order to build a modern state. We don’t have a nation nor an institutional government because we have religious groups and they are all searching for power. We need to separate religion and state. As a Muslim I insist on having a Christian president because this is what distinguishes Lebanon, but I will not tolerate people electing me because I’m a Sunni or a Shia. We need to leave this confessional system behind us and make Lebanon a model of coexistence and a mosaic of diversity. 5- You have formulated the National Dialogue Party, and you were successful in guaranteeing seats in the Parliament during this year’s election. What more are you hoping to accomplish? The main goal of the National Dialogue Party is to deal with the immediate and crucial matters affecting Lebanese citizens. I also aim to reduce marginalization in economy and politics, knowing that such parasitism will ultimately lead to clientelism. 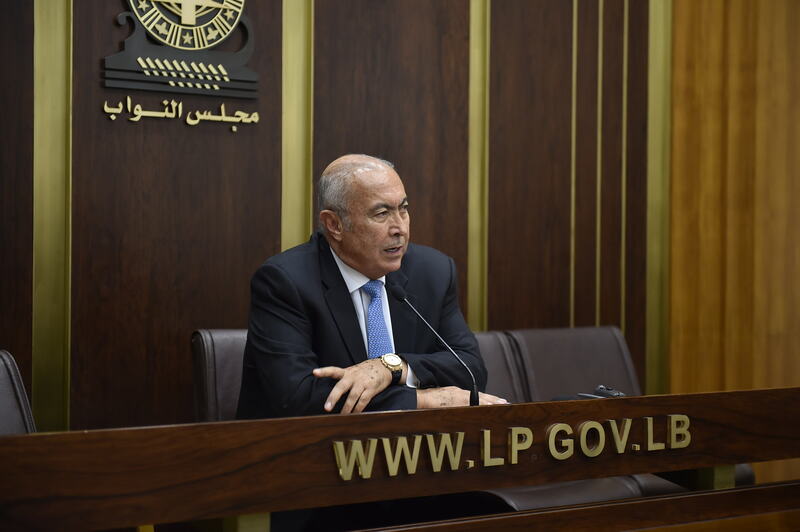 Now as a member of the Parliament I will make sure to abide to the ten clauses contract that I established and complete the electoral platform of Lebanon Harzan. Finally, I will begin a war on corruption, I know it is not going to be easy but I’m ready for the battle! 6- What does Beirut mean to you? Beirut certainly has a special place in my heart. It is where I grew up, where I received my education, where my loved ones were born. On this land my uncle Fouad Makhzoumi, my namesake was martyred. Beirut needs more achievements not speeches and slogans. Citizens of Beirut deserve to acquire all their rights. I pledge to work on restoring Beirut’s heritage as a historical land for culture and knowledge, a land where trade, communication, diversity and dialogue thrive. I am not capable of fixing everything, but without a doubt I am able to contribute in putting the city back on track. I know the journey is hard and long, but Beirut regaining its pioneer role is something we all aspire to. 7- You are an active member of Lebanon’s civil society; how do you help with creating a safe space for constructive conversations? And how did this reflect on your new political role and activities? Yes, I’m active and I pay visits to almost all the political parties, because I stand on equal distance from everyone. Moreover, the experience I gained over 20 years of Makhzoumi Foundation’s work, has strengthened my contacts with Beirut’s citizens and the Lebanese in general through social and development services. I would like to point out that I welcome citizens in Bayt Al-Bahr to listen to their problems and complaints and hear their opinions. 8- With the help of your wife you cofounded Makhzoumi foundation, why are you keen on playing this charitable role? Give us an idea of how work takes place inside the foundation? Makhzoumi Foundation was established shortly after the war ended, in 1997. It is chaired and managed by my beloved wife May. The civil war had an enormous effect on Lebanon, and left many people unemployed. Hence, the foundation aims to empower the young population and assist them in building a decent career by providing many diversified programs. The programs include: healthcare, microcredit, vocational training and development projects. Thanks to May’s leadership and dedication, the Foundation has provided, over 2.5 million services ever since its inception. Makhzoumi Foundation has partnered with UNHCR, UNICEF, UNDP, UNESCO, the EU, and USAID in order to conduct services for the displaced Syrian communities, who are registered with the UN. The Foundation seeks to develop the Lebanese society on economic, social, and educational levels and reinforce human resources to face future challenges. It also aims to spread a sense of responsibility, a love of knowledge and self- reliance. 9- As far as business goes, what are the undergoing agreements for your expansion plans in Europe? Currently we are working with our bankers to identify the right acquisitions, in order to expand in Europe and Latin America. 10- How would you like to be remembered by people? And what do you think would immortalize your charitable and giving journey? The man who wanted change! I seek change in every action, because I believe in peace and love. My wife May and I will continue our mission to encourage interfaith freedom and tolerance to provide a better future for our children and grandchildren in Lebanon and in the World. 11- How do you assess the issues happening in the Middle East and what do you think is the reason of the chaos in the Arab region? And what is the way out of that swamp? The political landscape of the Arab world has been dramatically transformed by the events of 2011. After decades of authoritarianism Tunisia, Libya, Egypt, Yemen and Syria have embarked on a harsh journey aimed at fostering inclusive societies based on the rule of law and accountable governance. These uprisings have a global impact and have transformed the balance of the Middle East. In my opinion the region needs more dynamic private sectors to generate jobs, not a return to state-socialism. Complications have risen from the corrupt and nepotistic system in which economies have been “liberalized”, much more than from the principle of economic openness per se. The key for geo-economic interest is to support a better quality of economic governance, with balanced roles for the state and market, devoid of the dynamics that have for long distorted both sectors. The EU must take particular advantage of the opportunity to push the region beyond the rentier-dominated management of the energy sector that has fed both economic and political dysfunctions for so long. 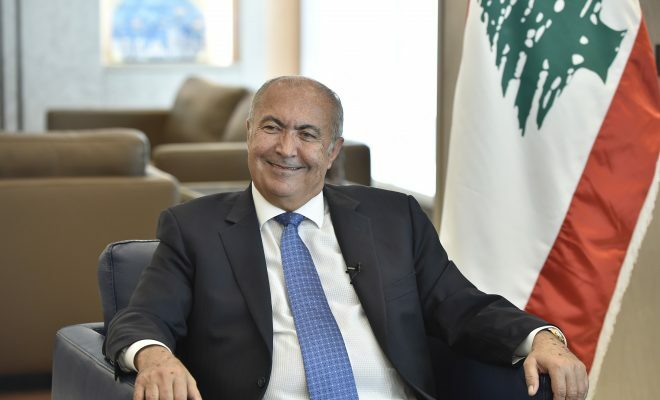 12- Lebanese politicians have always claimed to abide by a self-distancing policy when it comes to foreign affairs. Are all Lebanese parties really committed to that policy? Unfortunately, most of the Lebanese politicians are involved in the regional disputes, especially the Syrian crises. I do support neutrality when it comes to the current conflict in Syria. However, speaking of reconstruction, Lebanon should certainly participate, through its private sector, in the reconstruction process. 13- What do you think of the future of London as a financial center after Brexit? Do you have businesses in Britain that might get affected if the UK left the EU? I feel like I have an obligation towards the UK, we lived there for many years. Both my daughters were born in London, and my late son Rami attended university there. I hope that London survives Brexit with minimum damage, no other city in Europe can replace London. 14- Exclusively to Arabisk London Magazine: According to your experience, how can the Arab community in London maintain their ethnic identity while associating with people from different backgrounds? We can open up to others while maintaining our identity when we treat others as our equals, without prejudice and pre-judgment. We must support each other to secure a better life quality for everyone.